The September 2nd NCS Newsletter is in! 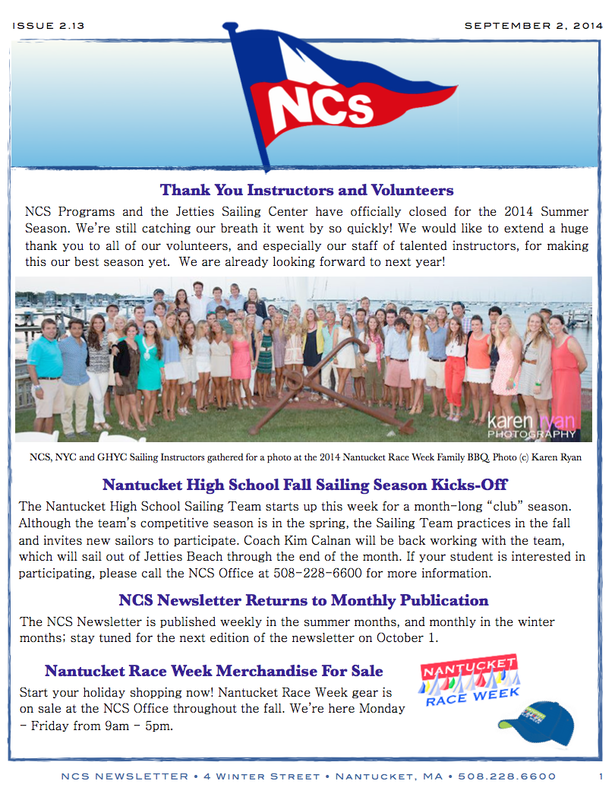 CLICK HERE to get the latest news from the 2014 season at Nantucket Community Sailing! Nantucket Race Week Merchandise ON SALE NOW!